Since Hong Kong Airlines discontinued their London Gatwick service in 2012, nothing has been flying between the airports. Instead, Cathay Pacific has five flights to Heathrow, all with Boeing 777-300ERs. The flight will be operated by one of Cathay Pacific’s all new Airbus A350s, which are pretty exciting (looks like I won’t get it on any of my six flights next year, but hopefully I do get it once). None of the products have been introduced yet, but they’ll probably be out soon given the aircraft’s flying in February. By the way, the first longhaul flight seems to be Auckland, in May 2016. 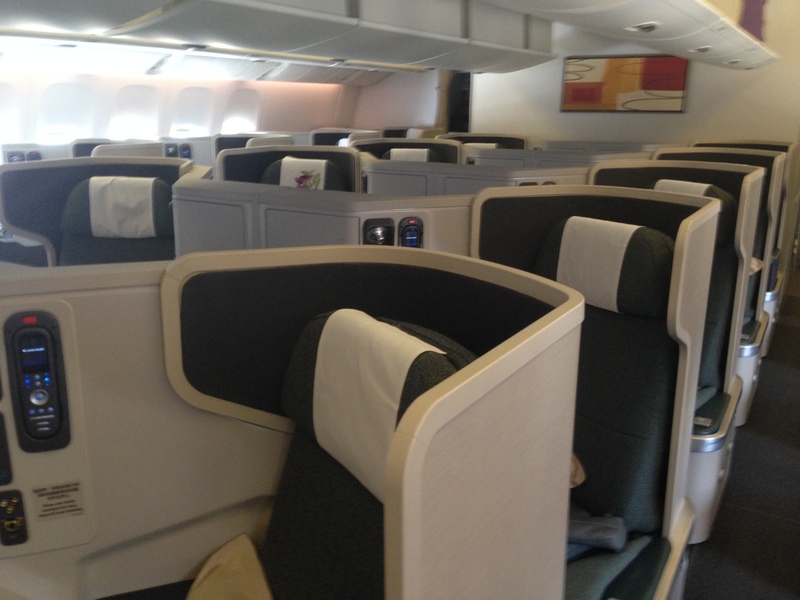 …and much more economy seats, spread across two cabins. Presumably the “new economy class” would be better as new premium economy and new economy seats would be introduced, but I’m pretty excited to see how the existing seats would be topped. I think this is a smart decision though I’m interested to see where it’s headed. I’m more excited to see how the new interiors look like, though, but I don’t think I’ll be seeing them in real life anytime soon. None of the seats have been taken on the inaugural, so book quickly!